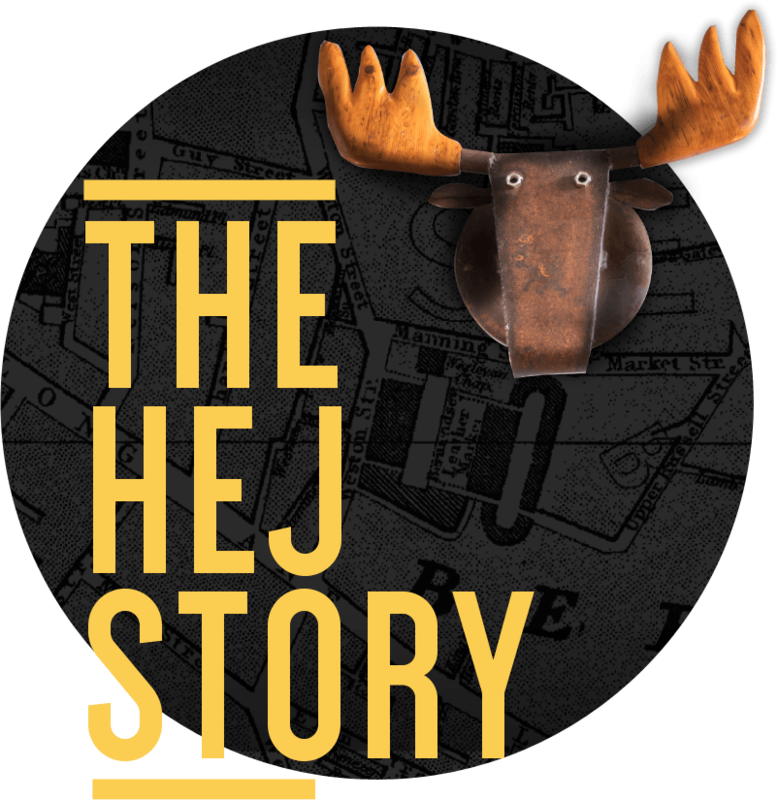 HEJ Coffee was conceived in Sweden and born in Bermondsey. Following a brief marriage to a large Swedish coffee conglomerate, the team left the big corporate world to go back to what they loved most. After the divorce they kept the name, the café and the strong Swedish values. It was the starting point to carry on the dream, continuing their passion for all things coffee. Today we’re artisan neighbourhood coffee shops, we roast our beans in-house at our London roastery in Elephant & Castle, and we’re a barista school – helping to champion baristas to make better coffee. As wholesale coffee suppliers we also deliver coffee beans to businesses, restaurants and cafes. "A relaxing cafe with cost indoor space popular with students and sunny (when London allows it) outdoor seating reminiscent of an intercity garden sanctum. 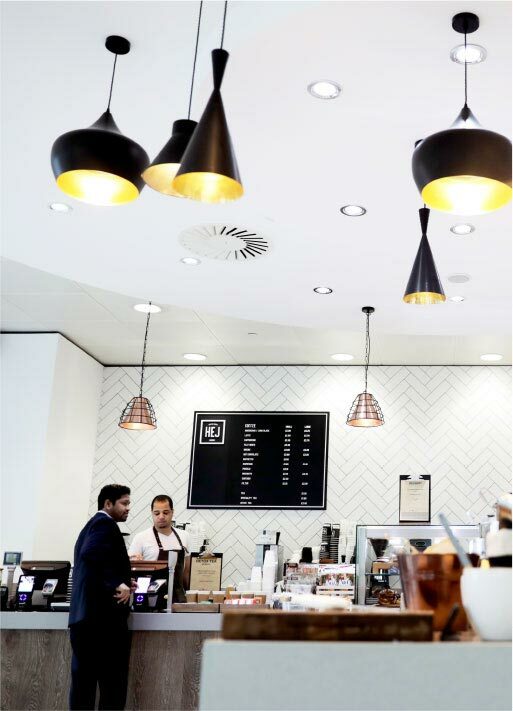 The food and coffee is high quality and particular good to see artisan sensibilities that extended beyond their typical lattes and into hot and cold filtered coffees." "Lovely breakfast, hollandaise was delicious! Great coffee made perfectly (velvety and smooth). Good atmosphere too." "Great coffee, great breakfast, great pastries! Lovely cafe with space to sit outside during warmer weather in the shadow underneath some trees. Great place for your weekend breakfast and brunch!" "Great place for a coffee, cake and a bite to eat! Super dog friendly, with good ambience and friendly staff. I come here to study and it's a perfect spot." "My regular coffee haunt. Great coffee, very friendly staff and a relaxed vibe. Try the cinnamon buns if you get a chance." "The orange hot chocolate is to die for. Very friendly and helpful staff. Quick service and delicious food. Thoroughly recommend visiting if you are in the neighbourhood." "Best cafe in Elephant & Castle with no doubt. I love the interior design, vibe, coffee and everything about the place. They are one of the top good things happening around here." "Incredibly cute coffee joint with the tastiest matcha latte and cinnamon roll (ask for it heated). Good amount of seating for the perfect getaway with a book or a good friend. Friendly staff too!" "Wonderful place to sit with a coffee in a ceramic mug (well done Hej, environmentally aware) it is staffed with lovely people and the food is fresh and reasonably priced." Sourcing coffee direct from farmers or though established trading companies HEJ roasts beans at our in-house roastery in London. Through passionate craftmanship we turn those green beans into something rather special. Roasting to requirements from rare micro-lots to price sensitive selections. We can deliver the very best quality to our customers whether they walk into one of our coffee shops or are clients requiring wholesale coffee supply. Enjoy extraordinary coffee experiences at work. Delicious wholesale coffee supply; in-house cafes – bespoke coffee bar builds, trikes, pop ups or coffee gardens; and barista hire for events. 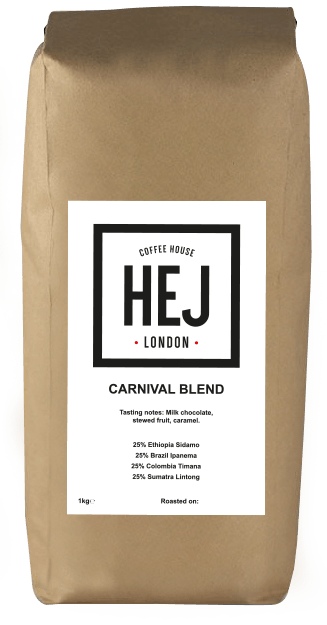 Hej Coffee is located at thirty-two sites across London. Tag your photos with #Hejcoffee and share your pictures and experiences with our online community.